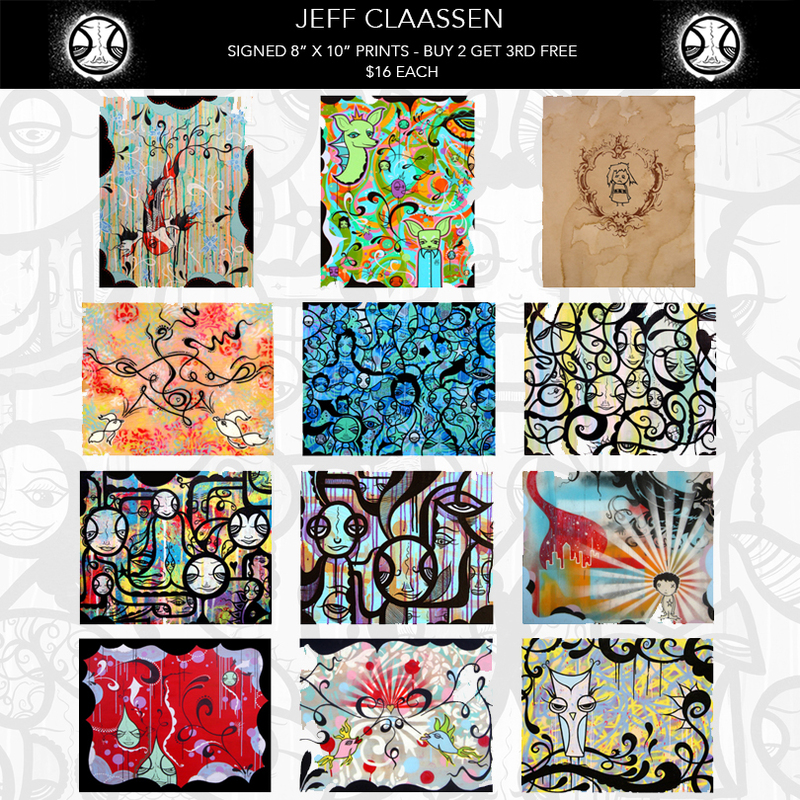 Buy two 8x10 prints, get 3rd one FREE! I just wanted to let you know that I'm wheelin' n' dealin' this weekend. Now through Sunday when you order two prints you get a third one for free. This is a great opportunity to start collecting art or to add to your growing collection. There is no coupon code for this deal. Simply add the first two prints to your cart and leave a note during checkout with the title of the third print you'd like. That's it! Easy peasy nice and easy. I currently offer 37 signed 8" x 10" prints. This is a standard size for easy framing and each print is signed on the back. These are high quality matte finished prints made in a real photo lab using state of the art equipment. In other words, they are not printed on a store bought ink jet printer using that cheap "photo" paper. You can see all the 8x10 prints here or simply click the above image. - I'll be having a show at Sally Loo's in San Luis Obispo in April. I haven't had an official show in years, so this is exciting. I'm making all new paintings for that right now, so it will be a very busy time from now until opening night. - Coral and I have jumped on the podcasting bandwagon. We launched "Live/Work/Love" in September and have uploaded 8 episodes with more in the works. Check it out on iTunes if you get a chance. And last, but not least...if you haven't checked out Viva Paso (my new shop) yet, make a trip to Paso Robles and say hello. Copyright © 2017 Claassen Gallery, All rights reserved.